The founders of democratic South Africa gifted the nation an extraordinary and sophisticated legislative architecture and framework aimed at creating and maintaining a just and lawful state. The Zuma political State Capture project, however, and those deployed to implement it, compromised the law and almost every institution aimed at detecting, combating and prosecuting corruption. It is significant that head of the Zondo Commission legal team, advocate Paul Pretorius, spent considerable time prior to former IPID head Robert McBride’s testimony on Thursday 11 April setting out the vast network of empowered institutions aimed at combating corruption and which operate in the rubric of the law enforcement cluster. There is the SAPS, the DPCI (or the Hawks), the Special Investigation Unit, the National Prosecuting Authority, the State Security Agency, the Asset Forfeiture Unit. There is the Ministry of Justice, the Ministry of Police. There is IPID, there is the Inspector General of Intelligence, SARS. These institutions are supported, in turn, by several others such as the Auditor-General’s office, the Department of Public Administration, the Public Service Commission, the Public Protector’s Office, the State Attorney’s office, the Financial Intelligence Centre, Treasury. Over and above this, of course, is Parliament where the people you and I elect to represent us undertake to hold the executive to account. There, these public representatives sit on committees designed to offer oversight and promote accountability and transparency. Theoretically speaking then, Fort Knox, when it comes to hunkering down and protecting citizens and the state from all manner of predatory criminal behaviour. What is clear, however, is that the founders of our young democracy, perhaps because it might have been unthinkable at the time, could not have imagined that the sustained attack on liberated South Africa would come from within the state itself. Pretorius said McBride’s testimony to the commission over the next few days would attempt to answer a simple question: Why, if this vast organisational structure existed and was functional, the Zondo Commission itself “should be here in the first place”? On Thursday, the commission heard that the NPA employed 4,5o0 investigators in specialised units including commercial crimes, sexual offences, the controversial Priority Crimes Litigation Unit as well as the Asset Forfeiture Unit. The SIU – an independent investigative unit which refers cases to the NPA or the DPCI (remember Bosasa?) – has about 500 legal and forensic personnel. Pretorius went on to illustrate that the SAPS employed 103,000 members and 40,000 detectives. There were 2,500 members of the Hawks, 9,500 people who worked for Crime Intelligence, 7,000 for SAPS protection services and 400 attached to IPID. Of course, the short answer is that a collection of politically connected, unethical individuals found themselves in positions where they subverted the laws of the country and abused the resources of the state for their own corrupt ends. They did this to settle political scores, hound political “enemies” and opponents, skim off what is likely to be billions from a secret Crime Intelligence slush fund, train secret military units in China, break into the offices of NGOs and basically anything else badass that you can think of. US president Richard Nixon’s Watergate scandal shrivels into insignificance compared with this gargantuan criminalisation of the state by a sitting president and his cronies. But the Zondo Commission does not deal in short replies. The setting out of how institutions that bolster our young democracy were hollowed out and repurposed, will be detailed, painstaking, will come with evidence, will scour out all the meandos and drill down into the belly of the beast. Pretorius was careful not to prod any bears as of yet, saying the list of names of various individuals – cabinet ministers included – who had occupied leadership positions during the timeline and who are named should not draw any “negative conclusion”. It was merely there to help the commission identify lines of authority and key role players at the time. It was significant then, that McBride, after taking the oath, nailed his political colours to the mast. This is, after all, an ANC-led government (well, at present). Why this statement is significant is that it speaks directly to the ANC’s policy of cadre deployment and ultimately a deep understanding of the nature of public service. That civil servants and officials work for the greater good of the country, that they understand and respect the laws that govern their domain of service and influence, and that they are loyal, in the end, to the Constitution of South Africa and the rule of law. Well, that was the dream. McBride attempted to set out some of the systemic problems in SAPS “one of the oldest organisations in South Africa”. Many of these traditions in SAPS date back to when the law enforcement agencies were essentially deployed by the then government to implement apartheid laws. A stubborn and solid hierarchical tradition and chain of command still exists. You do what you are told. 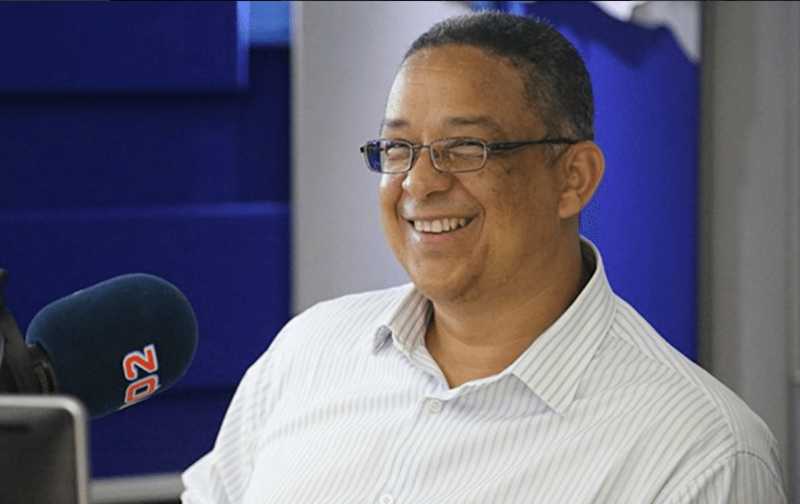 While the need for some secrecy surrounding Crime Intelligence existed in order to cultivate sources and informers in the context of dealing with organised crime, Crime Intelligence “is not transparent at all”, said McBride. When it came to getting Crime Intelligence to co-operate, the former IPID head told the commission investigators would come up against what they called “A Blue Curtain”. There were, he added, a number of cases — between IPID and the DPCI — including the prosecution of a former acting Crime Intelligence commissioner, where there was a refusal to declassify documents. He sketched the absurdity of one matter where IPID had been informed that the name of the person who had classified the documents itself was classified. Because of the continued lack of clarity around the classification of documents by Crime Intelligence, IPID and the Inspector General of Intelligence, Setlhomamaru Dintwe, signed a Memorandum of Understanding to ensure co-operation between the two bodies which have oversight roles over Crime Intelligence and the wider SAPS. The office of the Inspector General of Intelligence is accountable to Parliament. At present, he said, there was an impasse “by legislation and by practice” as to who exactly is able to “declassify” documents. McBride suggested current Crime Intelligence head, Peter Jacobs, (while he did not name him) has shown “a reluctance to utilise his powers to declassify”. Earlier Pretorius set out the track record of the former DSO – or Department of Special Operations (the Scorpions) which were located in the NPA before being disbanded. He said that the Scorpions, from 2001 to 2004, had dealt with 653 cases, 273 investigations and 300 prosecutions. Of those, 349 had ended in convictions, a 92% conviction rate. Until 2007 (two years before it was disbanded in 2009) the DSO achieved a 94% conviction rate. In 2008, the DSO arrested 71 suspects, confiscated R6.6m in contraband, compensated crime victims to the total of R6.8m and had 500 members when it had been disbanded in 2009. “These statistics,” said Pretorius, were indicative “only of a trend”. The question that would be asked about this trend, is “have the law enforcement agencies post-2009 been able to match that”? Pretorius said the Anti-Corruption Task Team – established by President Zuma in 2010 as “an interdepartmental body to fast-track high-priority and high-profile corruption cases” – had, between 2010 and 2015 received 148 priority cases with only one conviction. The SIU had referred 686 matters to the NPA during 2013 and 2018 with the value of R11m. “Not one has been successfully prosecuted,” said Pretorius. The FIC, he added, had sent 215 suspicious transaction reports to law enforcement agencies with only one report-back. Of the 45 cases referred to the NPA by the KwaZulu-Natal government specifically between 2010 and 2018 and totalling R5m “not a single one has been convicted”. Meanwhile, the Zondo Commission heard how the Priority Crimes Litigation Unit – established by former President Mbeki in 2003 in terms of the Rome Statute – had been used illegally to pursue politically motivated prosecutions. The mandate of the PCLU is to deal with serious national and international crimes including terrorism, high treason, sedition and mercenary activity, along with other priority crimes. Instead, the commission would hear evidence that the unit was “peopled under the authority of the head of the NPA with a number of prosecutors and it was this unit that investigated and sought to prosecute Pravin Gordhan, Ivan Pillay, Mr Johann van Loggerenberg, Mr Robert McBride, Innocent Khubu, Matthews Sesoko, Glynnis Breytenbach, Paul O’ Sullivan and his assistant, Sarah Jane Trent. They were all investigated under the rubric of the international security crimes described in the proclamation,” said Pretorius.